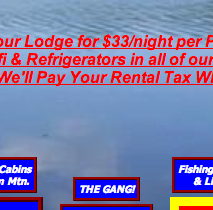 Great lodging or food doesn't automatically mean a great website. Don't forget the purpose of your website. Customers need to be able to find you, visualize your facility or food positively, contact you, know your hours (if applicable) and view your menu and prices. If you make it difficult or unappealing for potential customer, they will choose to look elsewhere. If you want to make an impression on potential guests make sure you make the right impression. Your website should have great photos of your facility or food. You might be surprised at how often I see a middle to high end destination with bad photographs, as depicted above. If you don't care enough to make the room beautiful for promotional photographs what does that say to potential guests about your daily care? 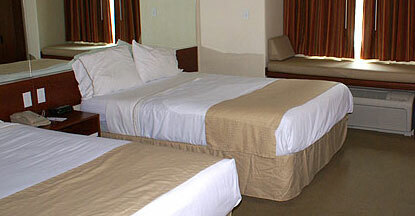 At the very least use a steamer (or iron) on the bedding and fluff and straighten the pillows. Guests want to see pristine beds. Is that a partially painted wall? Seriously? Touch up or complete painting. As for restaurants, make sure all the tables are set not just the one in the foreground. Don't publish pictures with dirty tables or messy bars and wait stations in the background. Food should always be professionally photographed. Don't use photo that are too small or grainy. Your viewers should be able to click on small photos (considered thumbnails) and blow them up. Very small photos are totally useless. This website appears to have been created over a decade ago and it's hard on the eyes. Update your website in a timely manor and avoid using colors that are difficult to read or garish. Equally as bad, is when potential guests can't find your physical address or contact information. Websites are now the most common first impression of any establishment. Ask yourself if you are making a good first impression? It's as easy to get carried away with the design of your website as it is to neglect maintaining it. If you can, get professional advice and help. If you can't, explore the websites of similar businesses as if you were a potential guest. You'll find out quickly what works and what doesn't. Words to live by when creating or updating your website – clean, simple, informative, easy to use.